St. Mary's is joining schools across the globe in celebrating Catholic Schools Week 2019 from 27 January to 3 February 2019. The theme of this year’s Catholic Schools Week is 'Celebrating the Work of Our Local Catholic Schools'. 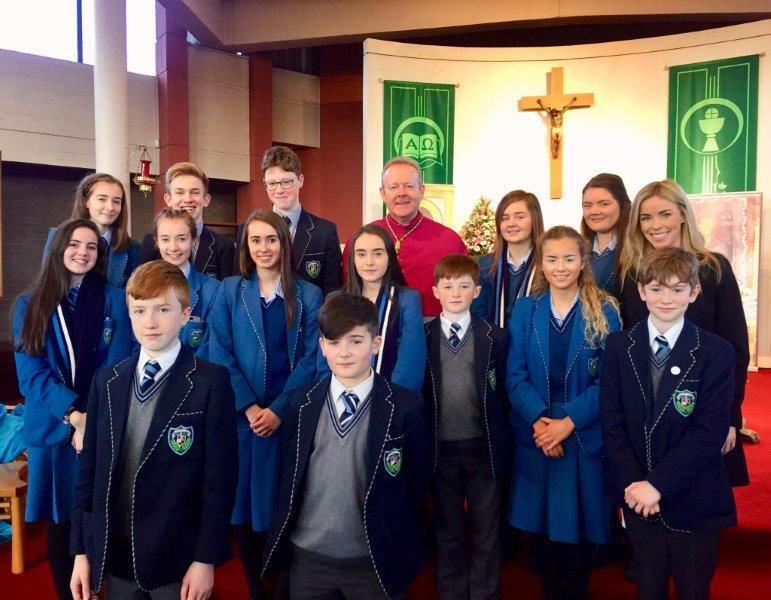 ​Fifteen pupils, accompanied by Miss U. Burns (Head of Religion), attended the launch service in St. John’s Baptist Church, Drumcree, Portadown which was led by Archbishop Eamon Martin. A display celebrating the faith life of the school was unveiled in the school on Tuesday 23 January. 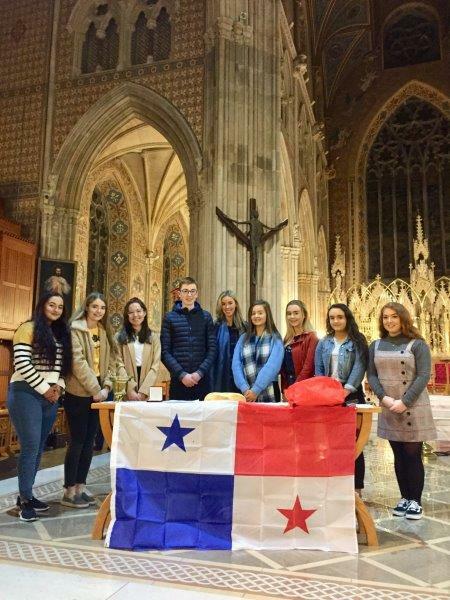 On Sunday 27 January, five John Paul II Award pupils participated in the World Youth Day Mass in Armagh Cathedral and, throughout this week, assemblies focused on the theme of Catholic Schools Week 2019 will be delivered by pupils from each year group. Archbishop Eamon Martin pictured with John Paul II Award pupils and Miss Burns at the World Youth Day Mass in Armagh Cathedral. Assemblies focused on the theme of Catholic Schools Week 2019 will be delivered by pupils from each year group. The celebrations will continue with other planned events this week. Fr. Thomas and Miss S. Campbell (ADYC) will visit the school on Thursday 31 January to lead an engaging retreat for some of our JPII Award pupils. The week will end with the making of St. Brigid’s crosses during junior lunch, facilitated by some of the Muiredach Cross pupils. A wonderful celebration of the vibrant faith community in St. Mary’s! John Paul II Award pupils and Miss Burns at the World Youth Day Mass in Armagh Cathedral.